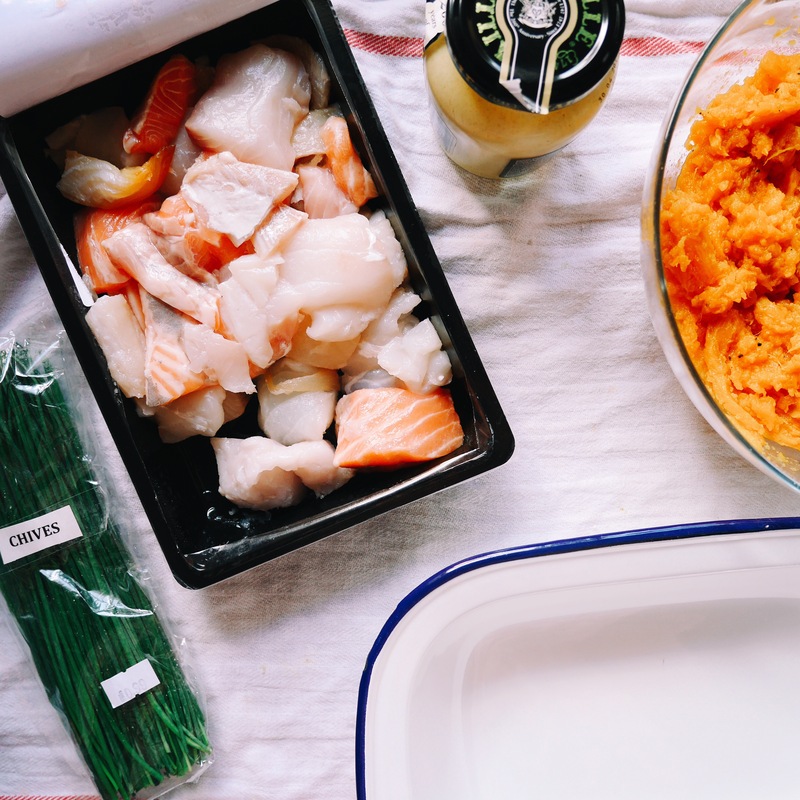 A beautiful creamy fish pie full of fresh herbs and made a little lighter from a sweet potato topping. Heat your oven to 180°c (160°c fan) gas 4. Wrap the sweet potatoes in foil and pop in the oven for around 1-1 1/2 hours until nice and soft. Remove from the oven and carefully remove the skin (if they’re well cooked this should be easy). Mash in a bowl until smooth. You can add some milk and butter to the mash but I don’t think it’s necessary. 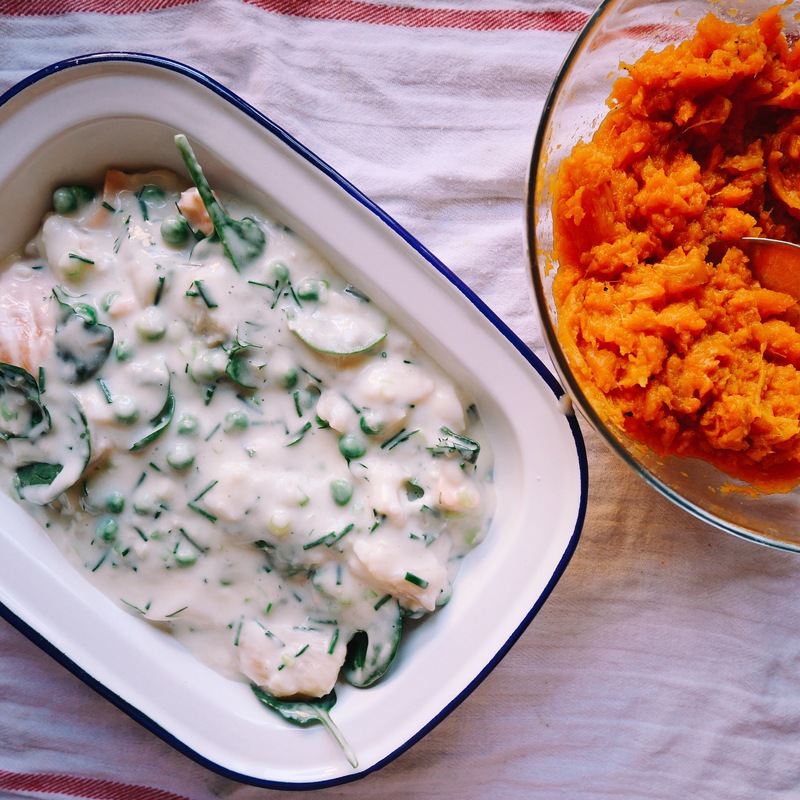 When sweet potatoes are cooked this way they seem to take on an oiliness which makes a wonderful mash. Add a pinch of salt and pepper and set aside. Add the butter, flour and spring onions to a pan. Cook gently until the butter melts. Add the milk gradually, whisking as you go until combined. Bring to the boil and cook for 3 to 4 minutes, stirring to get rid of lumps. Remove from the heat and add the mustard, herbs, fish, Parmesan and vegetables and mix to combine. 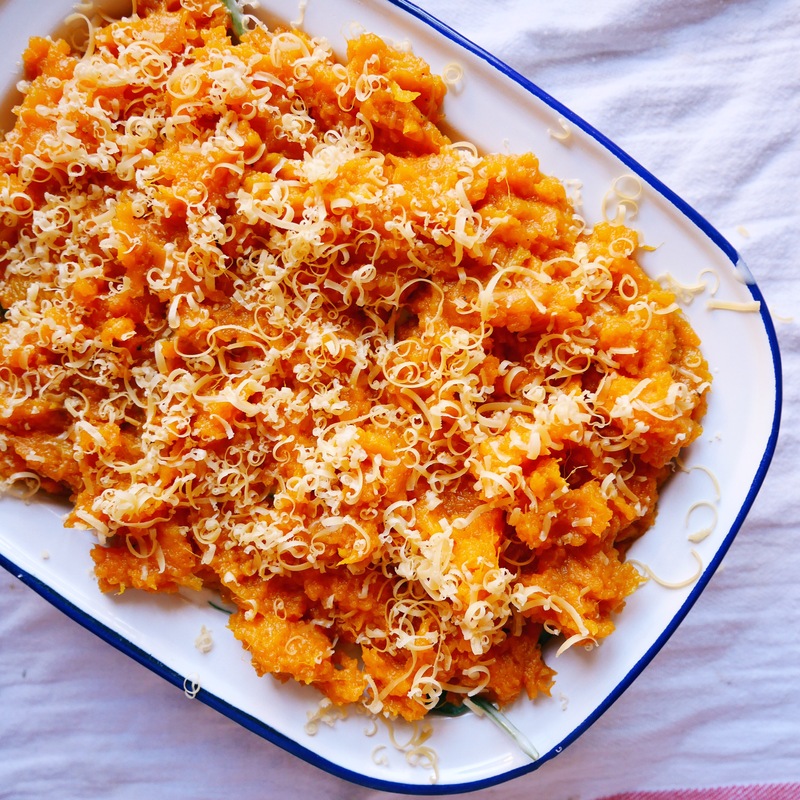 Add to a casserole dish and top with the sweet potato mash. Sprinkle over the grated cheddar and pop into the oven for 20-25 minutes until golden and bubbling. Enjoy!